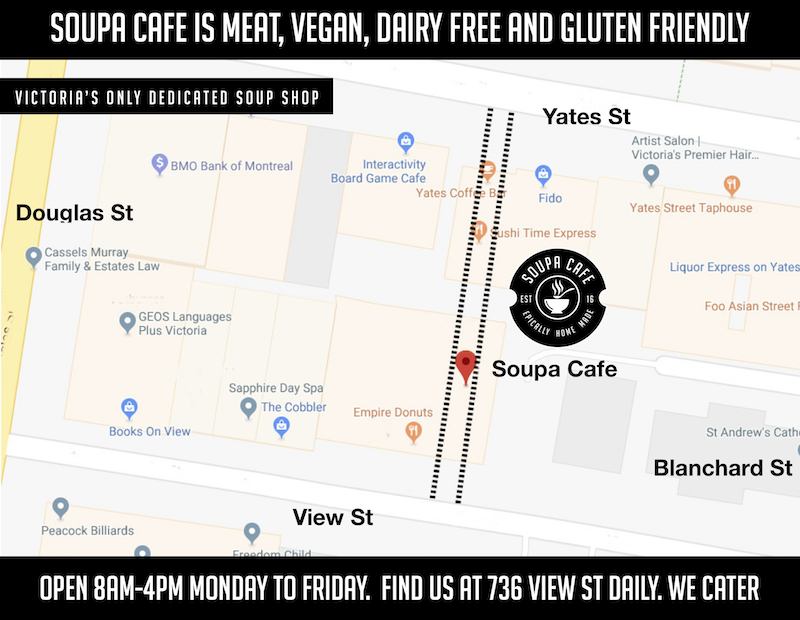 Victoria's Only Dedicated Soup Shop and Cafe! Want this menu on your phone? There's an app for that! 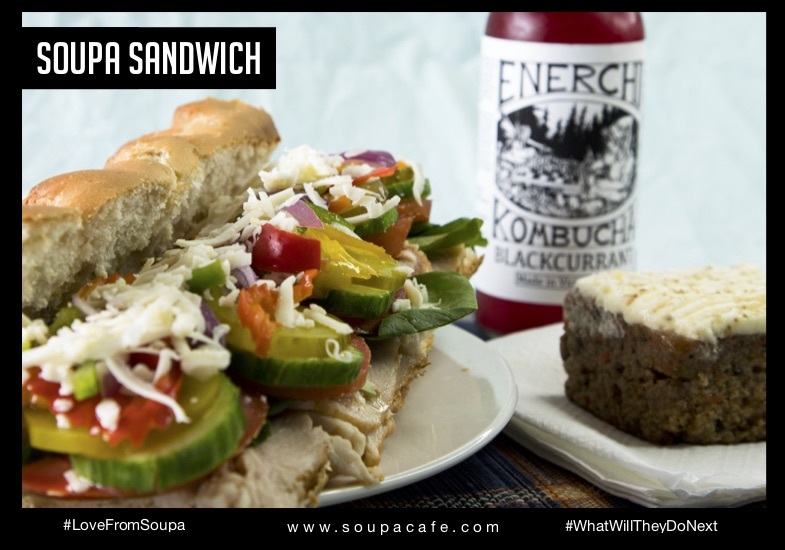 All Sandwiches Are Made Fresh In House and Can Be Made on Gluten Free Bread, Just Ask! Local All Natural Turkey Breast, Maple Bacon, Monterey Jack Cheese, Fresh Tomato and Fresh Spinach complimented with hand made Chipotle Mayo on extra wide French Baguette. Fresh Dill, Grainy Dejon, Fresh Celery and Green Onion served on Fresh Portofino Peasant Loaf Bread. Local All Natural Turkey Breast, House Made Cranberry Mayo, Brie Cheese, Fresh Spinach on Portofino Marble Rye Bread. Thick Sliced Banana Bread, baked locally by hand. The mild Sausage roll is exactly what you are thinking it is, perfect for all. If your nostalgic about the rice squares you had when you were a kid, you HAVE to try these! A varying selection of GIANT cookies, you won't be dissapointed..
Named after the iconic arched entry to the Umbrian town of Perugia, Arco Etrusco is the darkest of our blends. Natural sugars found in the coffees caramelize when roasted to this depth, imparting a cane sugar sweetness and aroma. Created as a drip coffee this blend boasts a fudge-like body, low acidity, a persistent roasty aftertaste and characteristics of a sweet stout. Flavours include Lemon Ginger and Blackberry Apple. Choose from one of our Local Hand Made Kombucha cultures. Enerchi Kombucha is locally made by hand in small batches from one of our local family run businesses. This truly is the real deal. 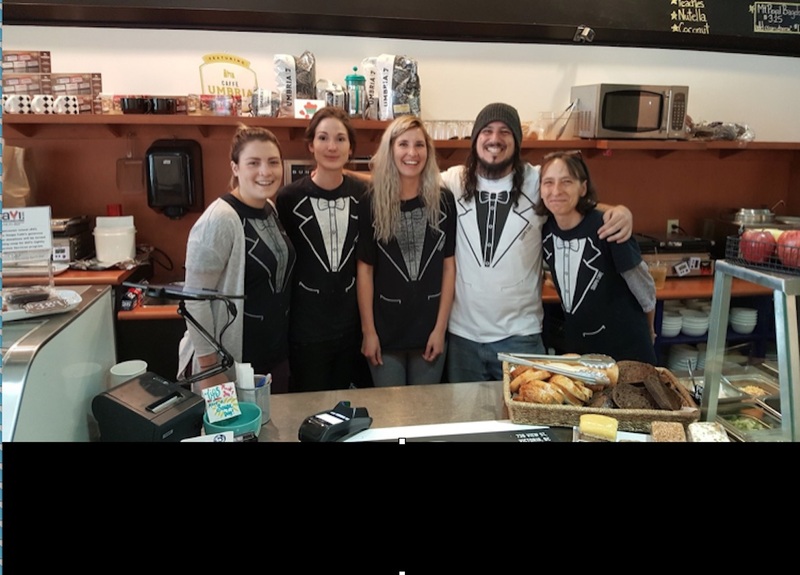 Our selection of Original or Salt and Vinegar are offered to you for those moments when a meal seems like too much..
We strive to serve a great selection at all of our locations where you will always find our epic Chicken Stew (The stew is probably our most famous dish), Chili Con Carne (the best in town!) and our Vegan Red Lentil Mulligatawny. 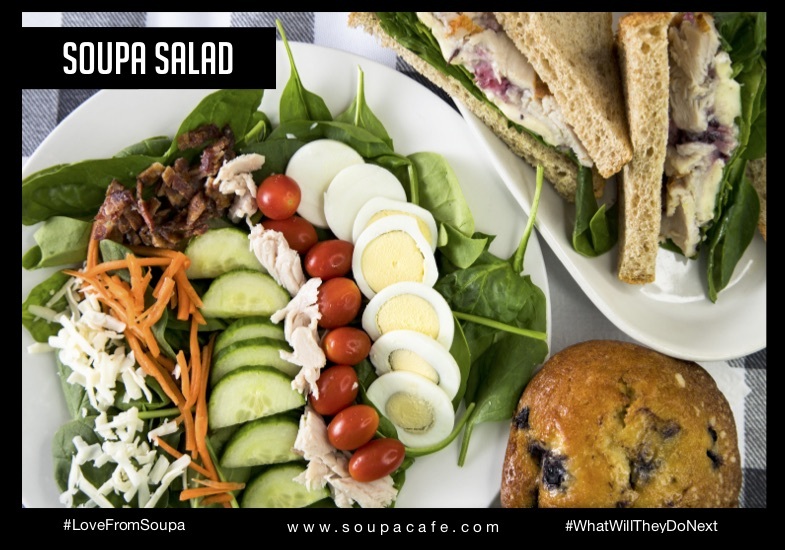 The least you will find for selection will be 4 soups daily and some of our locations serve up to 8. 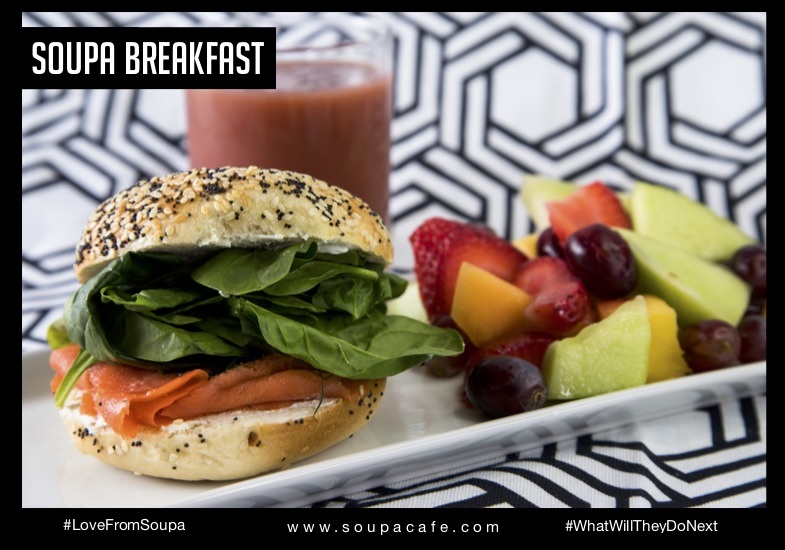 Soupa Cafe does not serve any MSG, artificial colours or flavours and our dishes do not contain preservatives. We spend a lot of time creating dishes by hand to serve to you, if we won't eat it, we won't sell it. Come and enjoy a vibrant experience with us! We care about your food and about the environment and all of our containers are compostable, lids too. 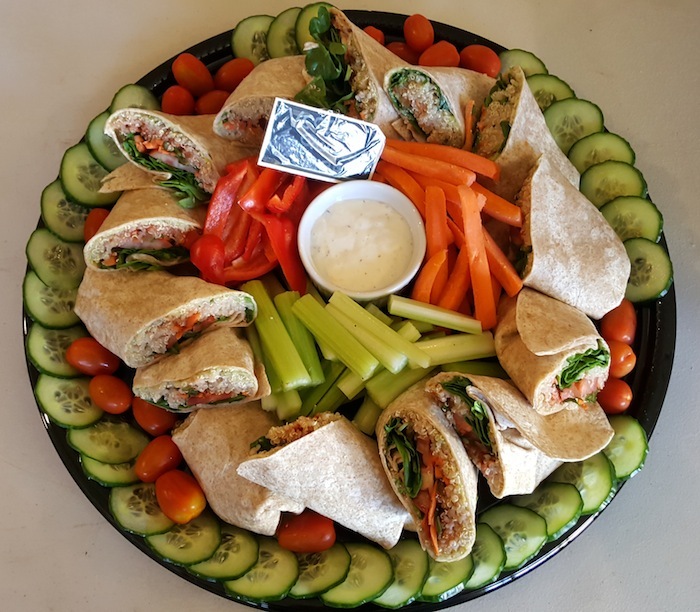 We make your salads and sandwiches Fresh daily and use local natural meats and if you're in the mood for something else, we have you covered with a great selection of snacks and pastries! All of our suppliers are locals just like us! We don't believe that your food choices or your body should be able to tell you where to eat which is why we always serve Vegan and Veggie options along with meat options and options daily which are gluten smart (prepared in a gluten use kitchen but made without gluten products, now days you can't just say Gluten Free). 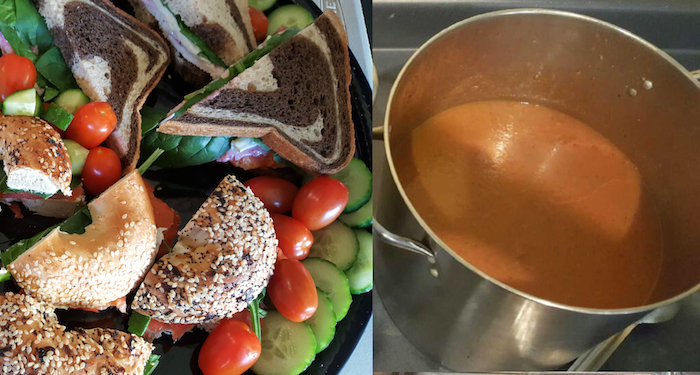 All of our delicious home made soups are served with a choice of 5 toppings and a choice of 4 types of bread, if you want all the toppings just ask for "the works". Come on in and dine with us today! 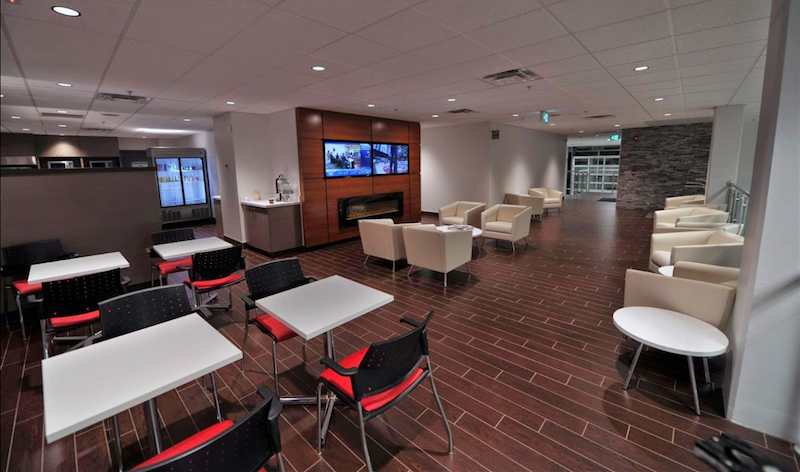 Walk in to the Jim Pattison Toyota Show Room and head upstairs, you will find a Soupa Cafe tucked away in a beautiful setting with comfortable seating overlooking the stunning show room with floor to ceiling windows throughout. Don't miss it! Our Soups are made by hand with love <3. Don't spend money buying Soup from any other catering outfit if you truly want the best Soup in town. 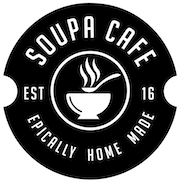 Our soups aren't made with left over veg and old pasta, they are hearty and (typically) healthy home made soups. 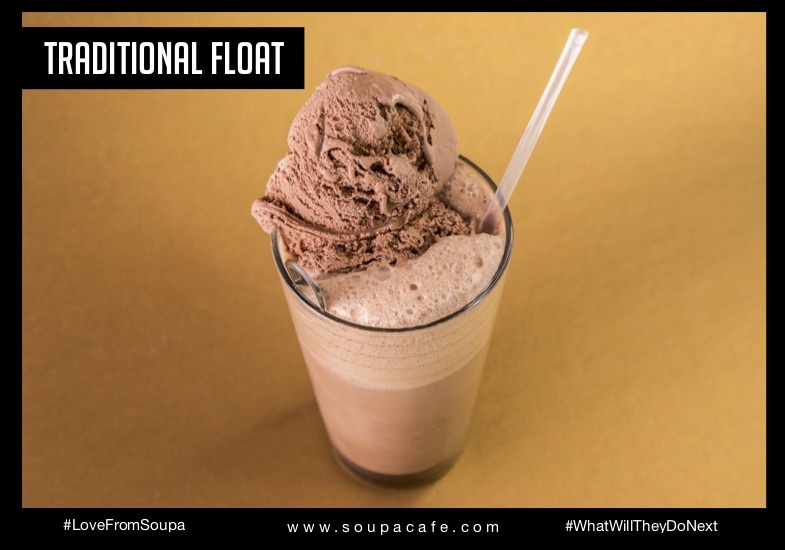 If they are meant to be thick, like our incredible Chicken Stew or Beef Chili then they will be thick, we never water them down or cheap out on ingredients which is why our soups are soooo delicious!! 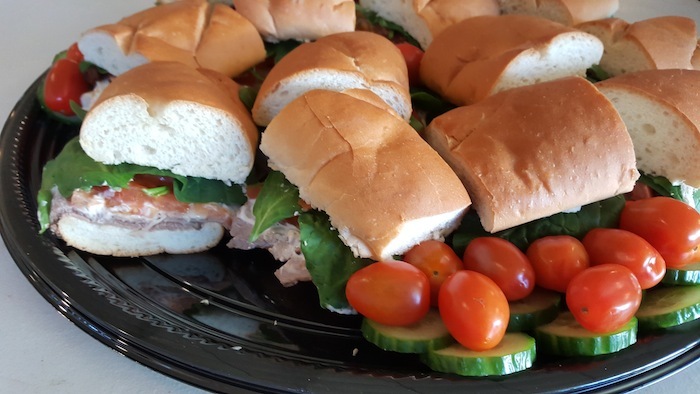 Our Sandwiches use Local Natural Meats and are not comparable in size or quality to Subway or any other catering outfit. We give you only the best because quality matters. If you want to impress your guests with incredible quality and insanely delicious food, create your own quote below. Like everything else we do, our pricing is transparent and we are always more than honest with you. No surprises. Use the quote builder below to get a fairly accurate quote for your catering event. Simply select how many of each "package type" you want and take note of the quantity to order to receive 5% OFF that package too. Once you are done, look at the bottom line which will read "Total:" and your total amount plus Tax. This is not an order form. To order, call the number in the Contact Us section below. We can cater to Veggie, Vegan, Meat lover, Dairy Free and Gluten friendly.. 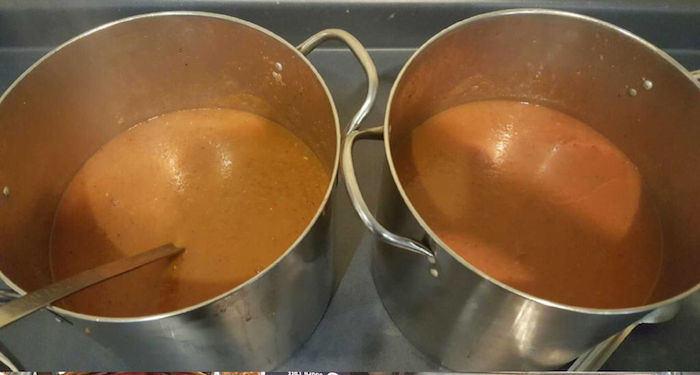 When you call we can give you different soup options and work out what might be best for your specific event. So, what ever your needs you can count on us to get it right. Go ahead and draw up a quote today! 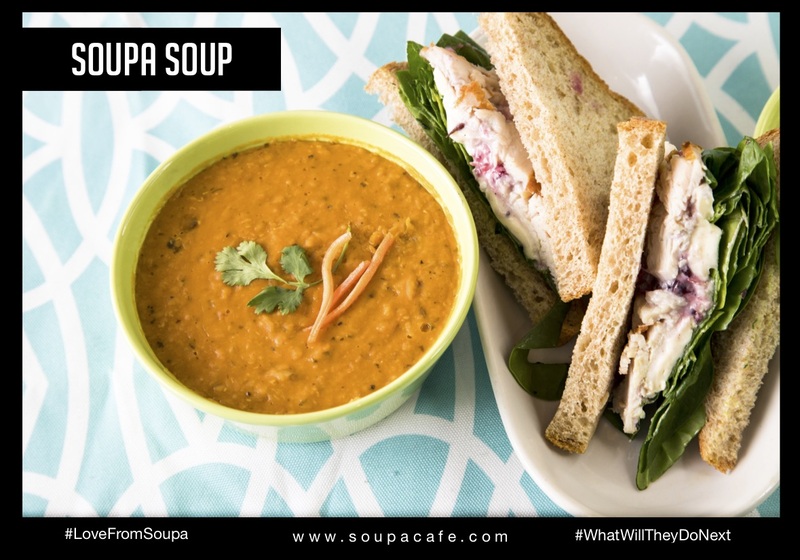 Welcome to the Soupa Card. The smart gift card which you can send to friends and family online. 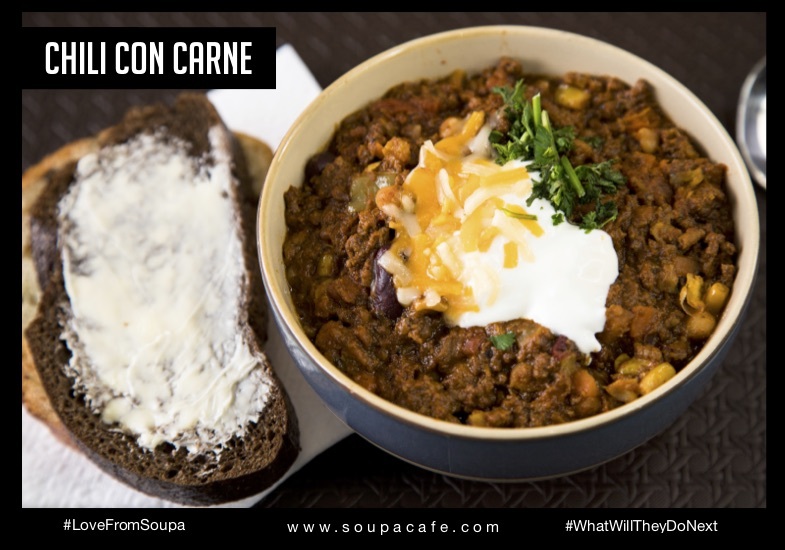 How does the Soupa Card Work? Simply select an amount you'd like to gift, enter your recipients name and email address and pay for the card online, then, moments later they will receive an email with a card inside. The card can then be used in store as long as they have their email enabled smart phone or they can write down the gift number and bring it in using good old fashioned pen and paper.